That is retired bricklayer, part time fisherman, and kind soul Joao Pereira de Souza. 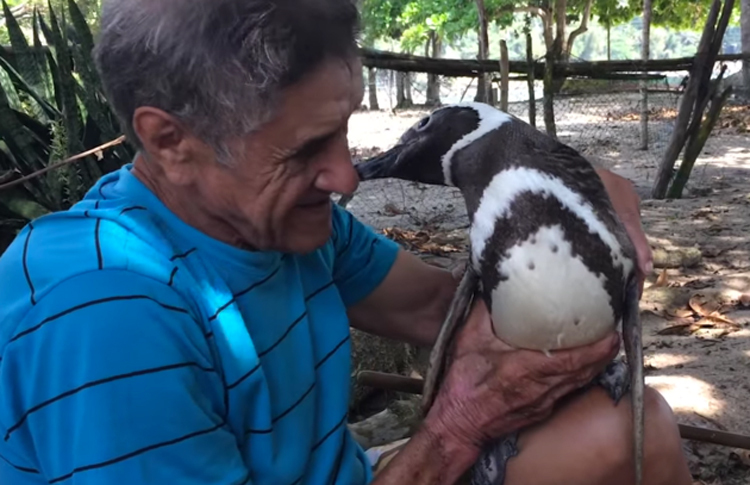 His buddy there is a South American Magellanic penguin name Dindim. 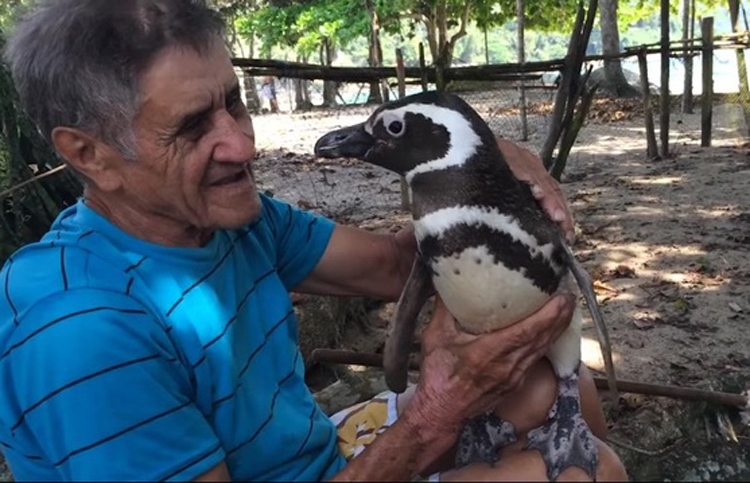 Joao , 71, who lives in an island village just outside Rio de Janeiro, Brazil, found the tiny penguin, covered in oil and close to death, lying on rocks on his local beach in 2011. 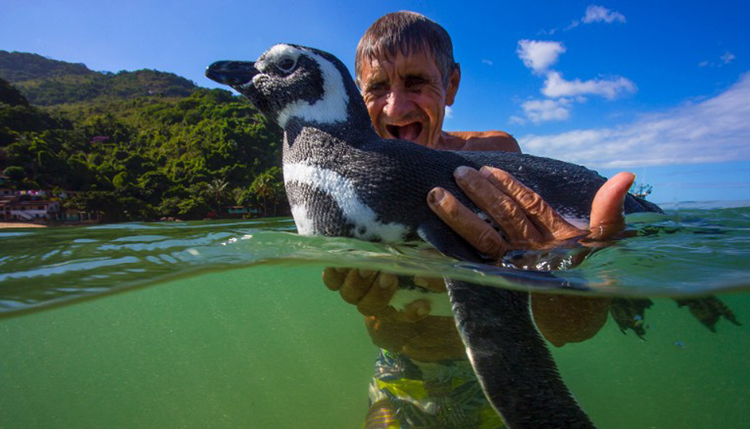 He cleaned the oil off the penguin’s feathers and fed him a daily diet of fish to build his strength. 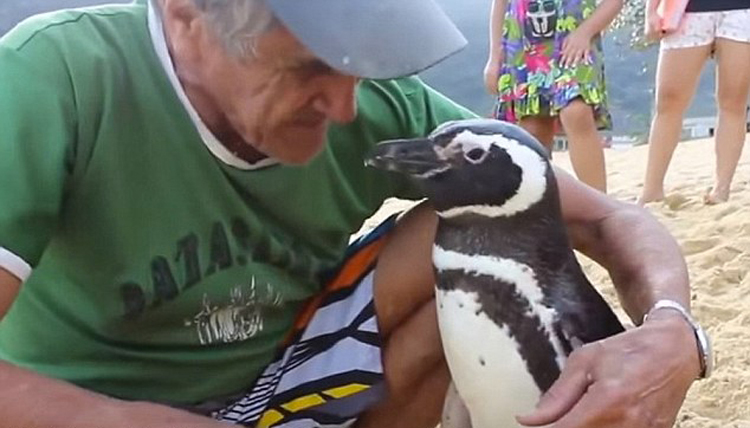 He named him Dindim, because ‘Happy Feet’ would have been stupid. 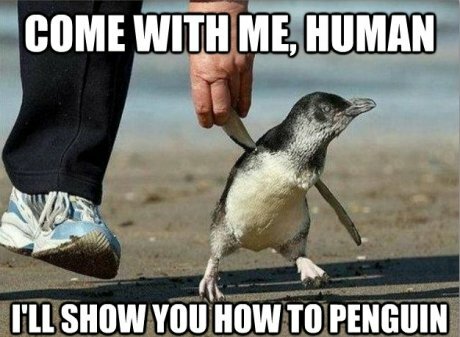 Because even a penguin has gotta get some once in awhile, yaknowwhatImsayin’? 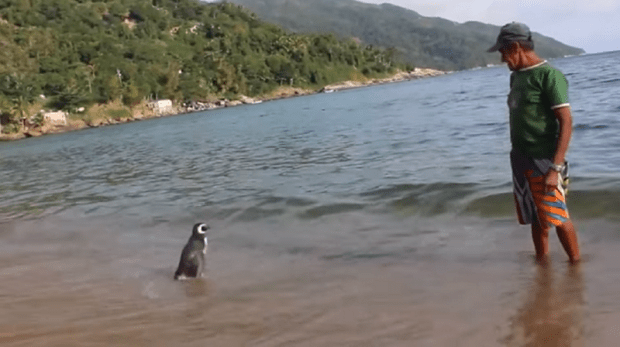 Or swims 5,000 miles to get some hot penguin action… depends on how you want to look at it. And you know you want to look at some hot penguin action. I’ve seen your browser history. When Dindim sees Joao, he wags his tail like a dog and honks with delight.